Size: 0.25 in. long in an elongated cluster that is hardly seem among the leaf clusters. 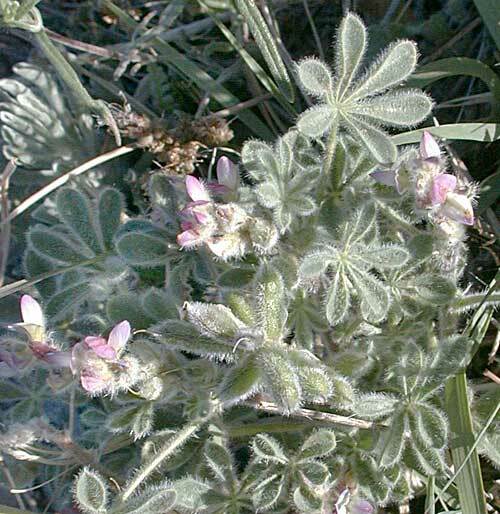 Notes: 23 species of Lupinus in Arizona. Entry for Lupines on the Cornel Poison Plants website. Photos of this plant can be seen on the CalPhoto plant picture website.